Updated with latest comments; click here to read. I am hoping to take up swimming again. The problem is, I have a perforated ear drum and am prone to infection. What kind of precaution should I take to reduce the chance of getting an infection or should I give up the idea altogether? Prostate tests may cause more harm than good? Q: I’ve just read this article titled ‘Prostate tests may cause more harm than good’. What’s your opinion on this? Thanks. To test or not to test, it is up to the patient to decide. If a male patient wants PSA , digital rectal exam, transrectal ultrasound or a prastate biopsy(if the first 3 are abnormal), any normal professional doctor would comply with an added caveat that no lab test or tests is/are 100% accurate. It is the treatment like radical prostatectomy, orchidectomy (surgical castration), or estrogen therapy (chemical castration) which can do more harm than good. If the doctor explains the test results and options to the patient well, it is highly unlikely that the patient would be harmed. or Stay Active to Reduce Your Risk of Prostate Cancer in the same Johns Hopkins’ website. A: A heart is enlarged because it has to do more work. This is akin to body building. Muscles “enlarge” when body builders pump iron. Without knowing your background training & past medical history, I’ll try to list some general etiologies using as many laymen’s terms as possible. What might be the causes? 2. Structural damage: leaking heart valves,(rheumatic heart disease, calcification/stiffness), damage by infections/poisons/medications, etc. 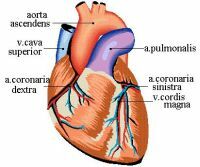 You can also check internet search engines for: cardiomegaly” , “cardiac hypertrophy” or simply “enlarged heart”. I don’t know any cardiologist in HK, but I’ll check with Mr. Anthony Ho & see if he knows any WYK alumni who are practicing cardiologist in HK.